Rental a Pocket Wifiin Jpana. Why rent a pocket wifi in Japan? It is not secureis for Internet access. smartphone and tablet. Also, you do not need a lot of roaming fee. We strongly recommend to rent a pocket wifi for your Japan trip. Depending on the supplies, you may receive a device different from the picture above, but with the equivalent performance and functionality. anytime and anywhere in Japan. Android phone and PSPs; and play games online and transfer pictures. 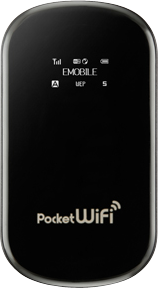 The Pocket Wifi (HOTSPOT MiFi) fits easily into the your pocket or handbag, allowing WiFi connection at your fingertip. 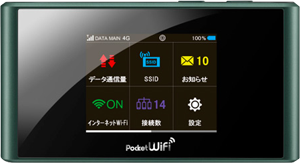 High-speed internet Renting Pocket WiFi: 21Mpbs ,75Mbps, 187.5Mbps in Japan ( at optimal condition). Unlimited internet access by Renting Pocket: No additional fees for data access for rental fee.. 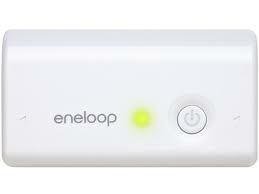 The data speed will be limited once the Standard Pocket Wifi device reaches the usage of 3GB/day. Heavy data transmission such as Video streaming and heavy files transfer, those might trigger the limit. The speed limitation of the Standard Pocket WiFi will be canceled at 12 midnight (24:00) of the day, Japan standard time. If you use a lot of data, we recommend "Super Premium Pocket WiFi" or "Premium Pocket WiFi" rental. Easy pickup: We deliver the pocket WiFi to the Airport, hotel, residence, office , etc in Jpana. Chubu (Centrair) Airport,Chitose Airport, Fukuoka Airport in Jpana. No installation to use Renting Pocket WiFi. 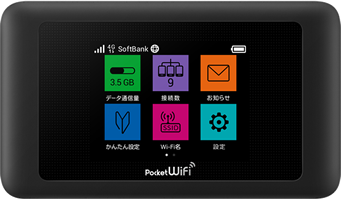 The Pocket WiFi 21Mpbs , 75Mbps , 187.5Mbps coverage area extends to 90% around Japan. Our service is far superior to BIC Wimax and UQ WiMAX pocket WiFi service area that only covers few cities in Japan. Make phone calls from Japan to your home or office using Skype, LINE, or other applications with a Pocket WiFi. Flexible rental policy Renting Pocket WiFi, starting from 4 days of rental period. We accept VISA, Master and AmEx credit cards for Renting Pocket WiFi. Delivery is made one day before rental start date so customers staying at hotels can pickup the device(s) at any time on that day. 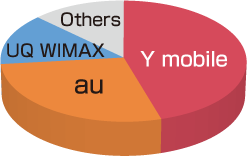 Which WiFi / Pocket WiFi Vendor is the best for your Trip to Japan : Y-mobile, au, UQ WiMAX ? Y-Mobile and au are the best pocket WiFi Share in Japan. Pocket Wifi Rental Plan in Japan. 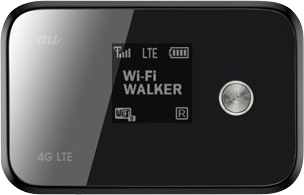 What Pocket Wifi rental plan do you have? For Laptop and iPhone/iPad, Android, Windows phone and any tablet. Some Pocket WiFi rental companies only have monthly charge rental system and are not flexible for customers traveling Japan for a limited time. 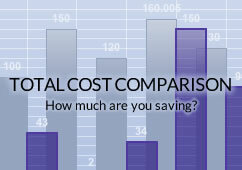 We have a much more flexible rental system, starting at 4 days and extending daily. To extend the battery life of your pocket WiFi, we recommend you to rent an extra battery, which will allow you to use the item for an additional 10-12hours. Extra battery rental fee is 100Yen/day. It is a rechargeable type Battery. You do not need to buy Dry Battery. Rental Steps. How to rent a Pocket Wifi in Japan. Please fix your rental terms. Your rental terms is defined as below. Where can I picke up rental pocket wifi? Please check the business hours of your pick up location to ensure you get your order on time. For customers arriving early morning or late night (other than normal business Hours), use premium delivery. In many cases, our rental products are covered by general travel insurance (including travel insurance provided with a credit card). It is quite common for our customers to lose our product along with their own iPhone etc. We highly recommend using a travel insurance for such cases. Please also check with your insuarance agency/company beforehand to know that you can use the travel insurance or no. In case of loss/damage, Global Advanced Communication will provide any necessary documents for insurance policy. I will be glad if this data is of useful information for those traveling in Japan. 1. In Japan, there are almost no free Wifi environments. Although free Wifi can be used easily in McDonald's or Starbucks in the United States and other countries, that service is not available in Japan unless the device is registered in advance. This necessary registration is very difficult for a foreigner. Moreover, we cannot rely on the security of these environments. A visitor's ID and password can be stolen and unexpected damages can occur. In some cases, the ID and password may be manipulated so that the customer becomes the perpetrator. Although many hotels also provide wifi, it is often times not free. 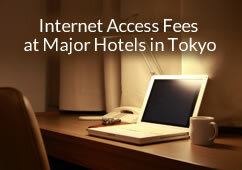 This is because Hotels make contracts with the Wifi service company to provide the service. In many countries such as the United States, wifi access for visitors is prepared and can be used freely. However, such service is not provided in many Japanese companies. Moreover, there is almost no internet connection, such as Wifi, in dormitories for those who are studying abroad in Japan or are training for some program. In Tokyo, internet cafes require a Japanese ID, prohibiting easy access for foreigners. As shown, internet access is restricted not only in public places but also in companies and hotels. Furthermore, practical uses of smart phones and laptops (ex. Looking up a map of the town) are not available. If people have easy access to the internet, time spent in Japan can be wonderful. The following chapter explains the methods. 2. About the Internet environment in Japan. Some people consider prepaid SIM over tablet computers and smart phones, but prepaid SIM in Japan is restricted severely . 1) Telephone call + Data Prepaid SIM. In Japan, only Japanese citizens or legal alien residents can purchase prepaid and post paid SIM with a telephone call function. Strict identification is performed for acquisition to prevent crimes using a mobile phone and travelers can only rent SIM cards with a telephone call function. 2) Data communication Prepaid SIM. In Japan, prepaid SIM for data usage is not offered by major telecommunication companies (NTT DOCOMO, SOFT BANK, AU, E-mobile, etc.) An offering company borrows a circuit from these major companies, and provides the service. Data prepaid SIM cards from these third parties are cheap. At our company this offer to customers was considered and tested by actually purchasing a product, but it did not provide a service that we could offer. The reason being, it cannot provide sufficient speed. Although there were 7MBPS, 14MBPS, etc., when it is actually used in urban areas, 100KBS to 300KBS came out at most. This is because, due to the sudden increase in demand for tablets and smart phones in Japan, the circuits of major telecommunication companies is in a blowout state. Since the third party companies are able to get hold of only a small circuit provided by these major companies, the original speed and efficiency of the SIM card is lost. This problem is not solved for the time being. At our company, we rent out SIM cards directly from the major companies, so this is not of a concern. Wifi can be accessed within a range of 20m of the Pocket Wifi at any time. Moreover, since only a pocket Wifi user knows the encryption and the password at the time of connection, a secure Internet access can be used. ① has a service area that is narrow and can only be used in urban areas. ② is the newest standard and has become the mainstream of major telecommunication companies. Therefore, the coverage area is wide and has a maximum speed of 75 MPBS. 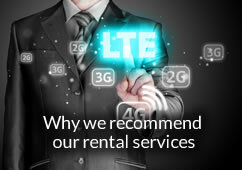 Since LTE・4G has become the standard, I recommend you consider LTE・4G if renting. They correspond to all Wifi connection apparatus (Smart Phone, Tablet, Laptop etc.). The apparatus of any country can easily connect with Pocket Wifi. The setting method changes with the connecting apparatus. Below is the basic flow. ① Turn on the pocket Wifi. ② Choose SSID of pocket Wifi (name of pocket Wifi) to connect. ③ Enter the password for connection. Although it is simple, I will be pleased if this helps make traveling in Japan easier. We received more than 5000 Likes on our rental Wifi service in Japan. There are still so many children suffering from the Great East Japan Earthquake and Tsunami, and from the nuclear disaster in 2011. One "Like" was counted as 20JPY, and so far we managed to donate 100,000JPY (1,000USD) to the suffering children. We deeply appreciate the cooperation of all of our Wifi rental service customers. We plan to continue the donation, and we will make a donation every time we reach another 5000 Likes on our rental Wifi service in Japan. We appreciate your continues support.